Tiny House, Tiny Bills: How Much Does a Tiny Home Cost? You've seen them: the tiny, cozy homes that cost a fraction of a house and have increased freedom and mobility. Before you make the plunge into building a tiny home though, it's important to understand the details. For example, what is the real tiny home cost? 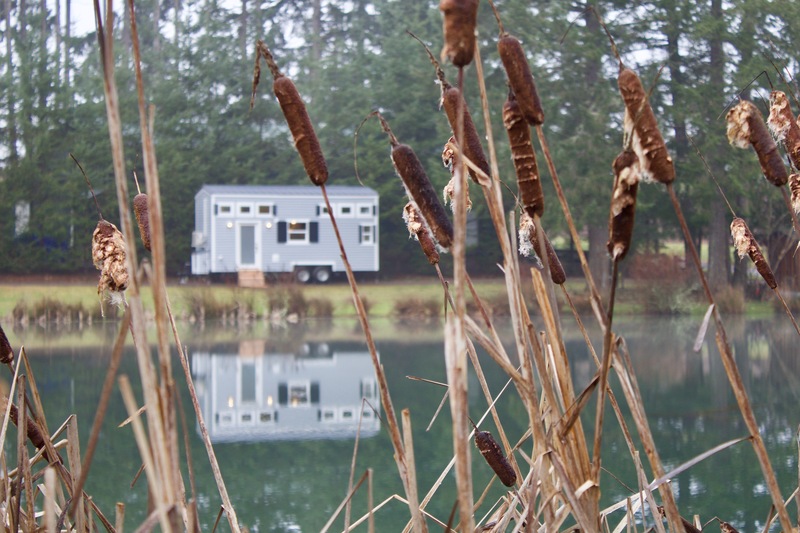 Here is an outline going over your tiny home costs. Let's start with the monthly costs. For many tiny homeowners that have already owned a home, the equity that they've accumulated over the years can cover the majority, if not all, of the cost of their new tiny home. If you're a first-time homeowner, it's likely that you'll have to have a mortgage. Since most tiny homes cost under $150,000 the mortgage is usually less than $600 a month. The total cost of your tiny home will depend on whether you purchase a prefabricated/premade home (starting around $45,000) or build a custom home (starting around $100,000). Another cost factor is where you're going to keep your tiny home. Some tiny homeowners choose to put their tiny houses on land that they own with the intent of having their home be stationary. Part of the appeal of tiny homes is that they can be mobile. So another option, if you don't own land, is to park your tiny home in tiny house communities or RV parks. This allows you to travel and live anywhere in the United States. Most parking in tiny home communities will cost approximately $300-$600 per month. Most home insurance is based on risk factors and the total cost of a home. Each situation is different. You can anticipate insurance costs using an online calculator. On average, most tiny homeowners will pay $100 a month give or take for homeowners insurance that covers their tiny houses. Your potential utilities costs will depend on whether or not you park your tiny home in a community or place it on your own land. Some tiny house communities include the cost of some of these utilities in their parking fee (like garbage, electricity, water). So the only ones you'll need to pay separately are those which aren't covered. Depending on where you live, and what utilities you need to pay for, they can range from $50-$300 each month. Maintenance and repairs aren't fixed or anticipated costs. Every tiny homeowner should save at least $50-$100 every month for anticipated repairs or costs. Tiny homes have lots of moving parts and important equipment. They need maintenance, repairs, and sometimes replacement. Saving a little each month will help you to be prepared to cover these costs. Is a Tiny Home the Right Choice for You? You now should have a better idea of the costs that go into buying and owning your tiny house. Keep in mind though, tiny home living is about so much more than saving money! It's about having the freedom to live wherever you want and having more money to travel and experience life. Is a tiny home right for you? Schedule a free consultation with our team today to find out!